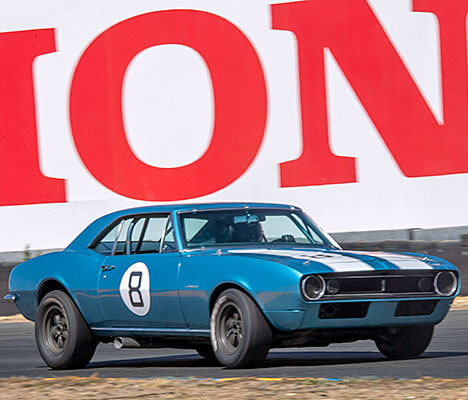 This Z-28 Camaro was ordered new through Alan Green Chevrolet in Seattle, Washington, by Ken Deckman. 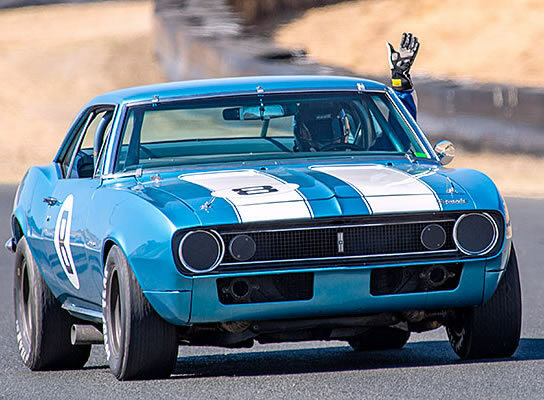 Ken Deckman drives his Z28 to an 8th place finish at its second Trans-Am race, Pacific Raceways, Kent Washington. 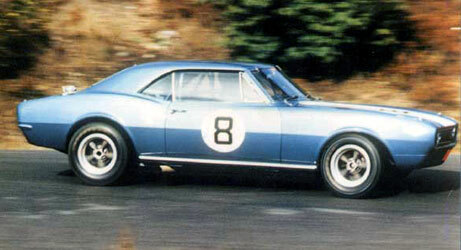 Prior to this car, Ken had campaigned Corvettes with a fair degree of success. 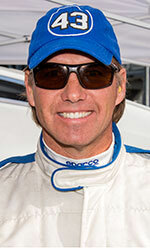 Ken had Nickey Chevrolet in Chicago build up the original motor to racing specs. 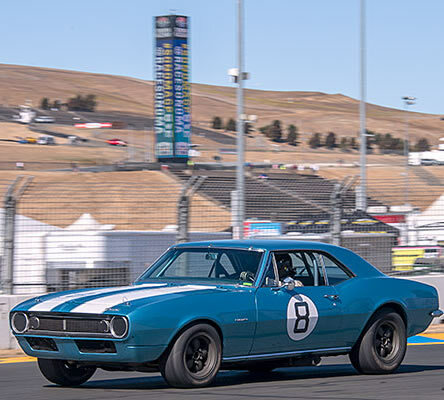 The first Trans-Am race for the car was at the Mission Bell 250 in September 1967. 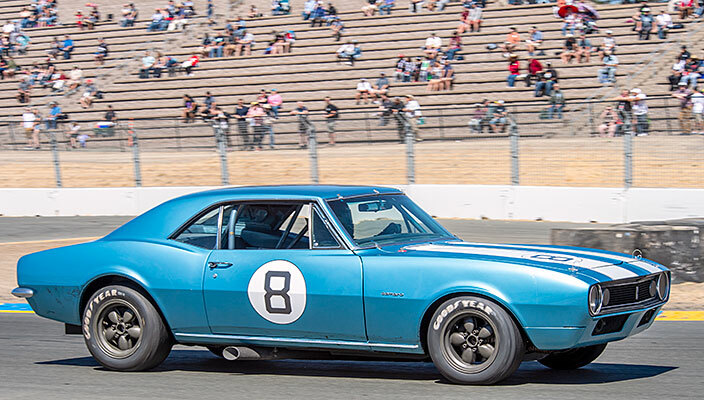 Ken ran the Trans-Am series every year, well into the 1970's, and finally put the car away. 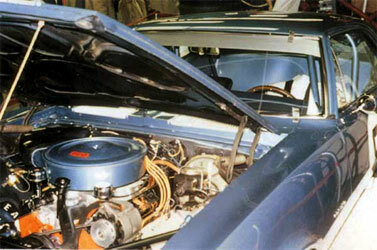 A view of the engine compartment circa 1968. 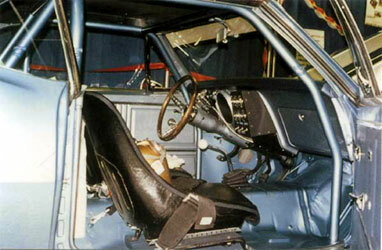 This interior photo was taken at an SCCA-sponsored car show during the winter of '67/'68. 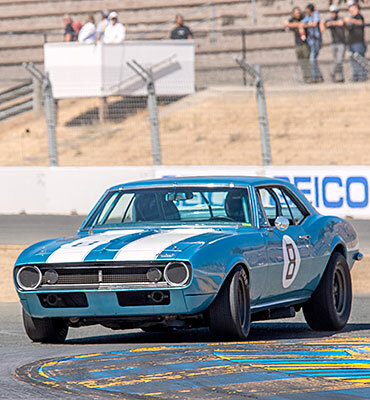 Copyright © 2001-2018 Historic Trans Am - All rights reserved.